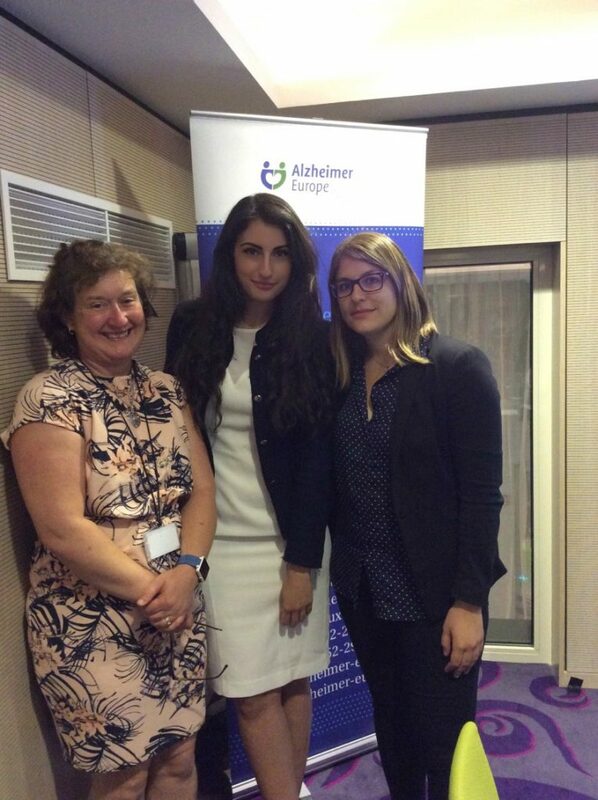 In Alzheimer Europe Meeting -“Making dementia a priority: Changing perceptions, practice and policy” on 27- 28 June 2017 in Brussels, a clinical researcher from CERTH and Alzheimer Hellas was present. During the lunch debate in European Parliament many Alzheimer Europe’s members, patient organizations as well as health regulators, stakeholders, professors, representatives from pharmaceutical companies and members of European Parliament participated, noted and reported on the launch of new funding opportunities, national dementia strategies or neurodegenerative disease strategies to tackle dementia related problems. In the end, four broad categories were identified: care aspects, medical and research aspects, policy issues, human rights and legal aspects. During the second day of the meeting, all representatives from patient organizations exchanged their EU and national policy developments and campaign, while they discussed about next steps on how to make dementia a priority, which is a public health issue at European and national level based on the growing numbers affected by the disease and the corresponding cost to European health systems and societies. Moreover, we took the opportunity to present MAMEM project, its vision and current scientific milestones. The important role of MAMEM as a novel project, which supports people with motor impairment was recognized and highlighted by all scientific participants of the meeting.